NetBeans internally uses the concept of a virtual filesystem. Support for writing annotation processors which generate XML layer fragments. NetBeans internally uses the concept of a virtual filesystem. This module provide APIs for accessing such virtual files as well as some support classes to make writing of custom vitual filesystems easier. To support JDK 9 image file as an archive the FileUtil's method getArchiveFile,getArchiveRoot and isArchiveFile are pluggable using a new SPI ArchiveFileProvider. In addition to these methods a new method isArchiveArtifact was added. This method can be used if given URL points into an archive. To support multiple configurations (users, profiles, ...) executing in the same VM, multiple Repositories can be created, one for each execution context. API has been added to acquire and SPI to create a local Repository which holds config filesystem for the execution thraed. Nov 27 '14 Support detection and reading of symbolic links. Add utility method to FileUtil for dealing with recursive symbolic links. FileLock implements AutoCloseable to work well in try-with-resources constructs. The FileSystem.Status was entirely removed, as it references class java.awt.Image, which is not available in compact jdk profiles and may trigger GUI system initialization. See javadocs of StatusDecorator for details. 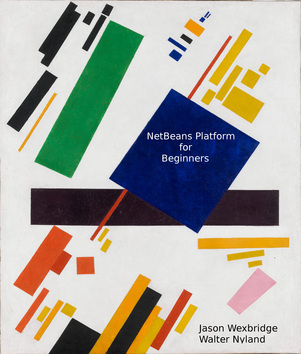 For general overview of the filesystem concepts, related topics, together with code samples, see chapter 3, of NetBeans Platform for Beginners by Jason Wexbridge and Walter Nyland. Many of the usecases are described at the overall documentation, in a way how to register a mime type. Some of the additional usecases are covered here. How to change menus, etc. after login? See documentation about dynamically changing the system filesystem. masterfs module is using a reflection to re-associate the lookup after a move operation. The MultiFileSystem defines some pseudo attributes on files and folders, which provide rollback features. Please see MultiFileSystem class javadoc for more information. It is possible to prefix call to FileObject.getAttribute with raw: prefix to evaluate the attribute without instantiating it (e.g. get Method or Class values from methodvalue and newvalue attributes. This API is not intended for public use at present and can change in future.